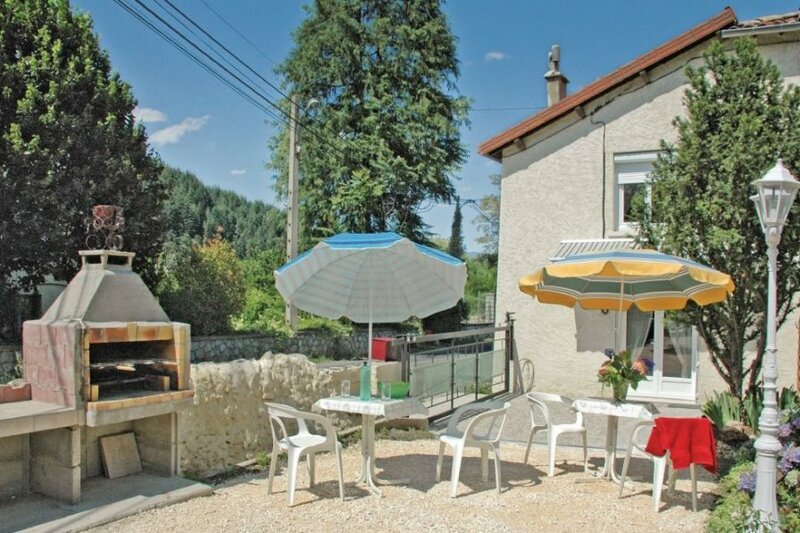 Of an appealing house with a shaded terrace in the south of the Ardeche. Of an appealing house with a shaded terrace in the south of the Ardeche. A lightly traveled road runs next to the house. This solidly constructed villa was originally built in 1930 and refurbished in 2001. The agent has rated it as a two star property so it is a plainly furnished villa with limited facilities. It is ideal for a cheap holiday. The villaIt is located in Jaujac, 20km from Aubenas. It is set in a good location: there is a restaurant only 500 metres away.